Hiya Barbara, it's an interesting map. I wonder, is the increased salinity in the Atlantic due to increased heat evaporation? Would that be due to the Atlantic being a smaller body of water than the Pacific? There are other streams and currents than the Gulf Stream and they don't appear to be associated with areas of such notable salinity. Forgive me if it's a daft question...I've just woken up. Yes, it's evaporation in the Atlantic. The map of ocean currents would be more useful if it also showed prevailing winds. Every year as much water as two Amazon rivers evaporates from the surface of the Atlantic and the trade winds carry it across Central America where it rains in the tropical Pacific. The reason it doesn't just go like that until the Pacific is fresh and the Atlantic is brine is because of that deep water current pattern I explained in the ocean circulation primer I wrote back in June. That works on time scales of 1000 years though, where surface salinity can be relevant to weather on an annual basis, as we're seeing in Texas this year. 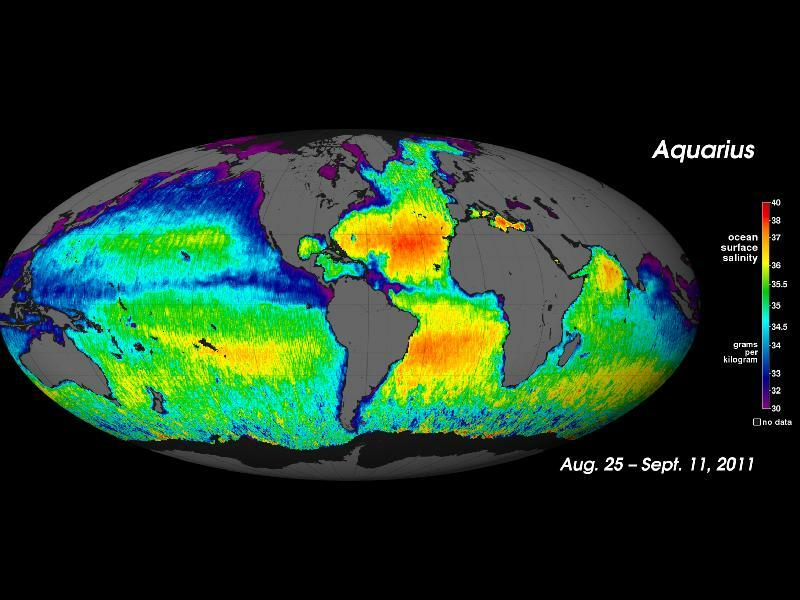 Here's a nice thorough explanation of why the surface of the Atlantic is so salty.